The rocker’s eleventh studio album follows his pattern of playing most of the instruments himself alongside longtime guitarist Craig Ross. Kravitz found that starting work on the follow-up to 2014’s “Strut” after the completion of a world tour was harder than expected …and it worried him. 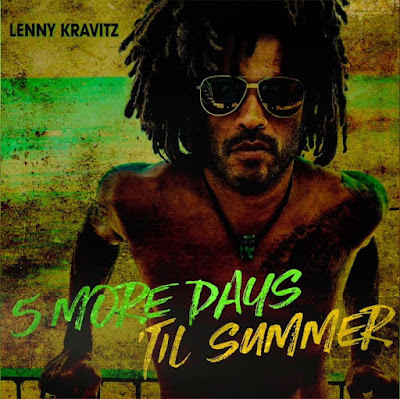 Rather than force the creative issue, Kravitz simply waited things out at his house in the Bahamas until inspiration arrived one night at four in the morning; he popped into his home studio to record a rough draft of a song idea, and the process repeated itself over subsequent nights. Kravitz has just announced dates for a fall US tour in support of the record; the two-week, 8-show run will open in Atlanta, GA on September 21. A fan presale for the trek is underway now (use code "VIBRATION"), with general public tickets available on Friday, July 27. 01. "We Can Get It All Together"
03. "Who Really Are The Monsters?" 08. "5 More Days 'Til Summer"
09. "The Majesty Of Love"